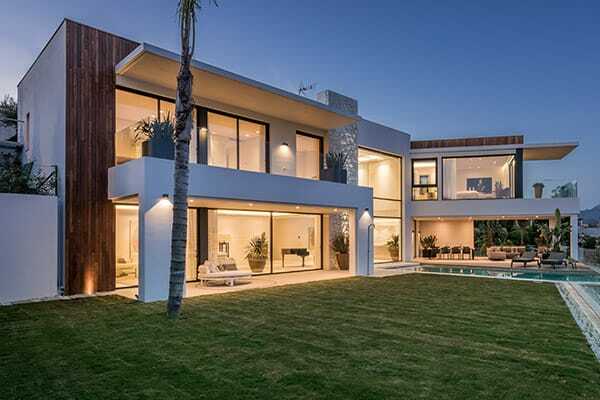 Like a watchtower presiding over the mountain peak, this three-storey villa in La Panera (Estepona municipality) opens out with south-west views to Gibraltar and northern Africa. 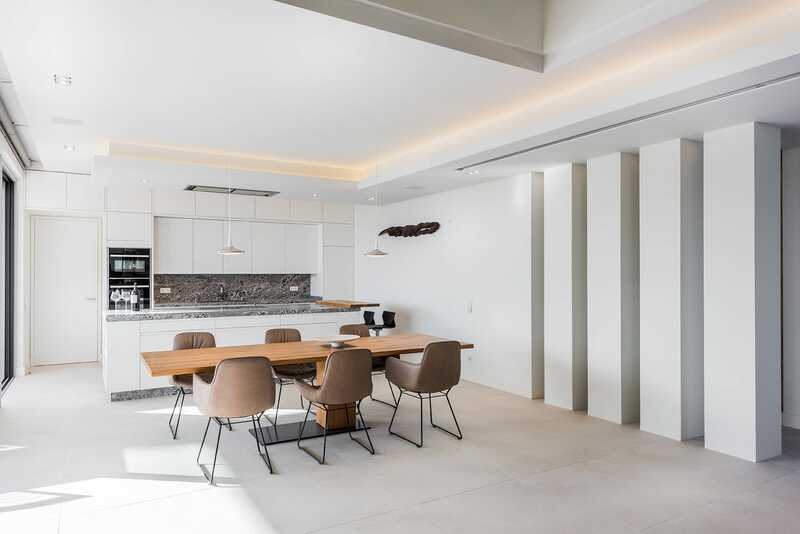 The architecture features white walls and natural stonework, with double-height windows in the central part of the home. The pool represents the key focus of the property and its access points. 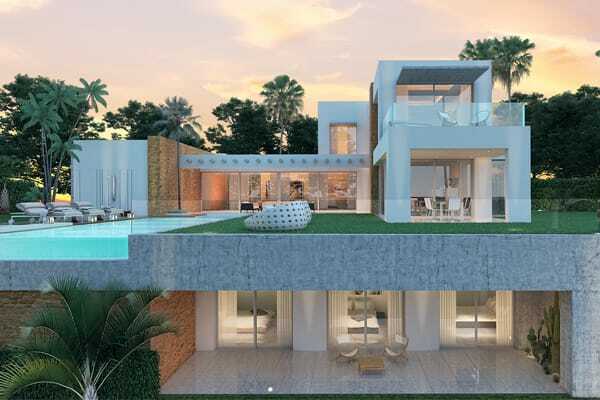 The main door opens out onto two levels, with the pool extending beyond the picture window towards the south-west – blending into an infinity overflow that enhances the sense of endless space. A great project undertaken by Essenza for Northern European clients, completed beginning of 2016. 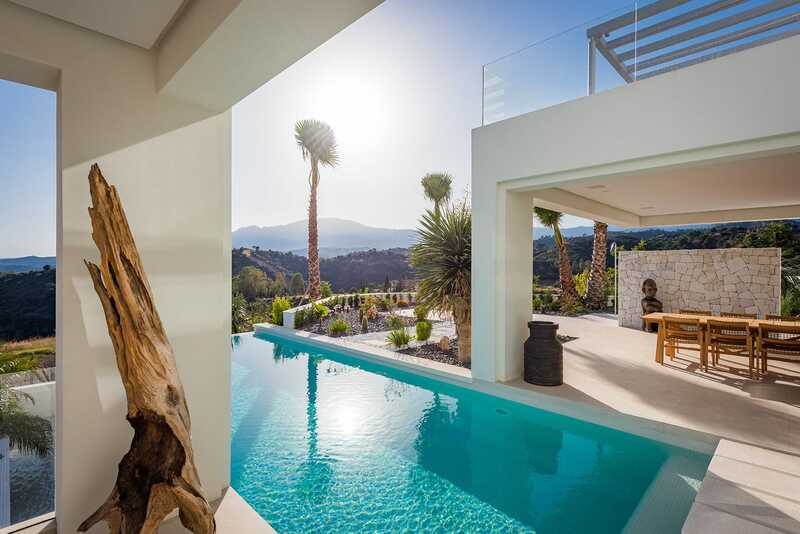 The pool represents the key focus of the property and its access points.